Lot Detail - Mills 5 Cent “The Westerner” with Hi Top Slot Machine. Mills 5 Cent “The Westerner” with Hi Top Slot Machine. 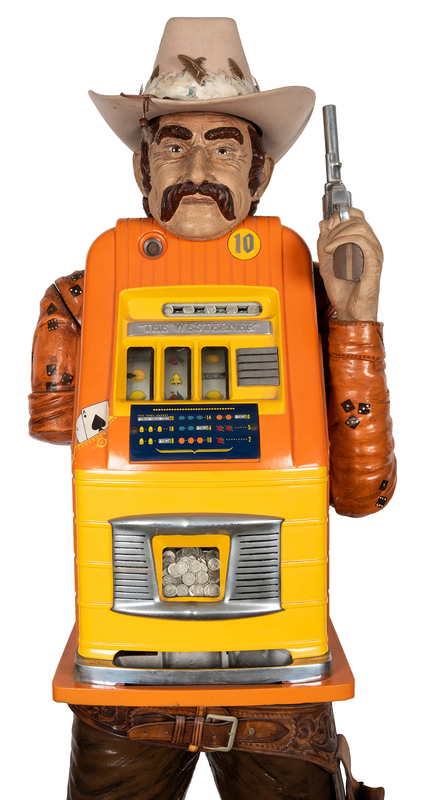 Mills 5 Cent “The Westerner” with Hi Top Slot Machine. Chicago, ca. 1940. Height 68”. Lock and key. Working.